Are you a woman in business? 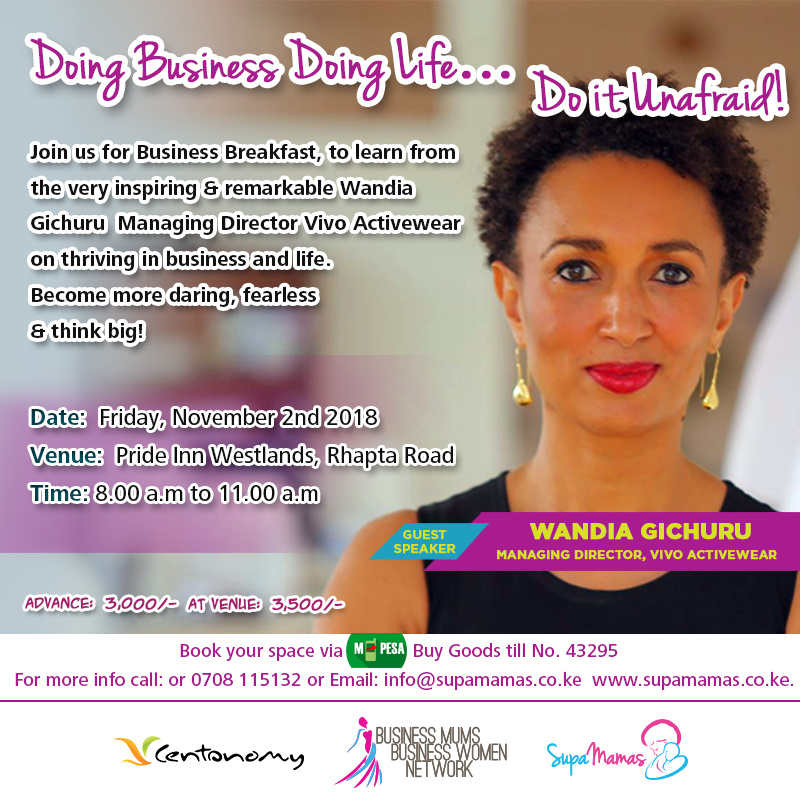 This Friday, we will be hosting our last business event this year and we are honored to host Vivo Activewear CEO Wandia Gichuru. The theme of this event “Doing business, Doing life… Do it Unafraid” which will include Ms. Wandia not only sharing her success tips but pointers on how you can develop a winning mindset in your business and in life. Business is hard – especially for women more so for Mumpreneurs, but it can also be fulfilling and fun! At this event you will get an opportunity to evaluate where you are at, get tips on how to conquer your fears, working smart, strike a balance between work and play and overcome those mental blocks and stagnation. We want you to get excited about 2019! Come and learn how you can do business and do life totally unafraid! Don’t be left out all the details are on the poster. Tell a Friend! 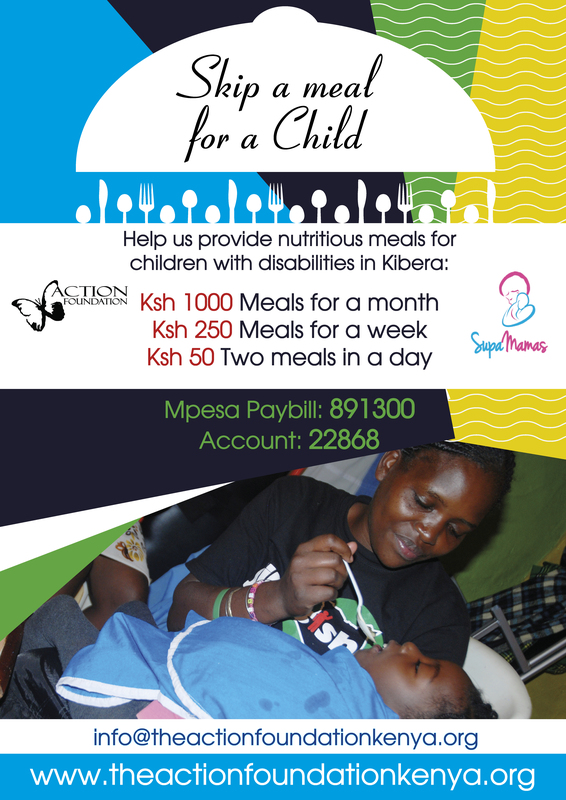 "Skip a meal campaign for a special child" is now at Ksh. 82,294 Our goal as Supamamas is to get The Action Foundation to Ksh. 100,000 with your generous contribution and support . They are doing such a good job. Please check them out. Please Skip Lunch Today or simply donate. 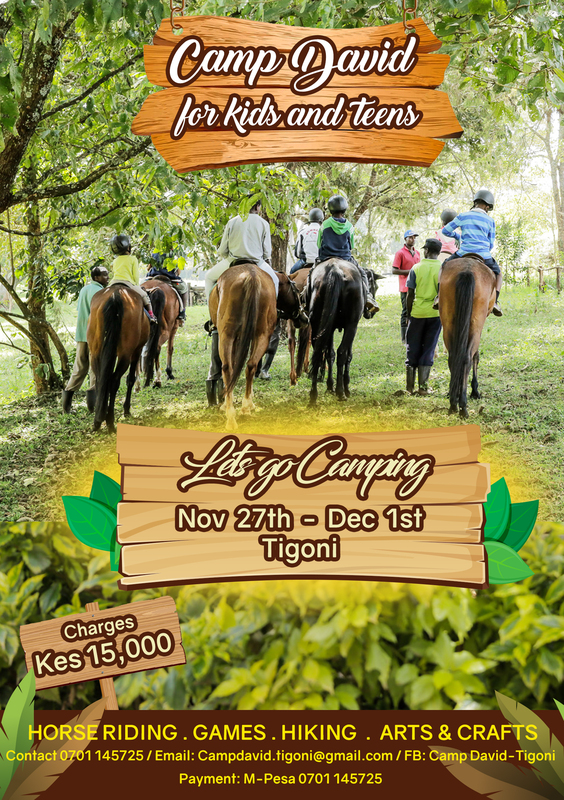 This exciting kids holiday camp includes a camping expedition to CAMP DAVID-Tigoni located in the beautiful foothills of Limuru. The core belief of this program is that every child is unique and has limitless potential. This is harnessed by giving them opportunities to create, get inspired, build character including important values such as integrity and team work. Your kids are guaranteed to have fun with plenty of activities lined up including camping, horse riding, hiking , arts and crafts and many more!